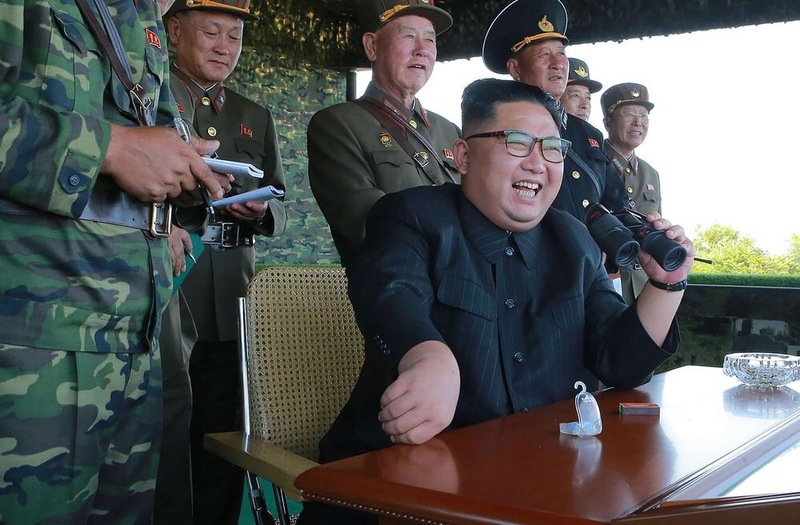 Seoul (AFP) – North Korean leader Kim Jong-Un Friday mocked Donald Trump as “mentally deranged” — and warned he will make the US president “pay dearly” for threatening the destruction of his country at the United Nations. Kim lashed out after Trump stunned the world on Tuesday when he used his maiden UN General Assembly speech to warn the North that Washington would “totally destroy” it if the US or its allies were attacked. “I will make the man holding the prerogative of the supreme command in the US pay dearly for his speech calling for totally destroying the DPRK,” Kim was quoted as saying by state news agency KCNA, referring to North Korea’s official name. Kim, whom Trump belittles as “Rocket Man”, also questioned the sanity of the US leader, referring to the “mentally deranged behavior of the US president openly expressing on the UN arena the unethical will to ‘totally destroy’ a sovereign state”. Isolated and impoverished, the North says it needs a nuclear deterrent to protect it from an aggressive US and the autocratic regime has made militarism a central part of its national ideology. The statement stressed Kim was in no mood to change course. Trump’s remarks “have convinced me, rather than frightening or stopping me, that the path I chose is correct and that it is the one I have to follow to the last,” Kim added. The angry response also came after the US on Thursday sharply ramped up sanctions aimed at curtailing North Korea’s nuclear weapons drive, targeting the regime’s trading partners with a sweeping ban on business. Trump unveiled the new measures as he met with the leaders of allies Japan and South Korea, even as key players China and Russia voiced unease with his more aggressive approach. Pyongyang’s stated aim is to be able to target the US mainland and the nation has flaunted the advances in its weapons programme in recent weeks, with the September test of what it said was a miniaturised H-bomb capable of being loaded onto a rocket.